The TRES collection is available with mechanic or quartz movements, in light and dark dial variants set into either steel or black PVD cases. The quartz collection also comes in 2 case sizes 44mm and 40mm, so there is bound to be a model to suit all wrist sizes and budgets. The TRES Automatic collection features a subtle, tone-in-tone dial design in either light or dark shades. The three centred, slim hands and fine minute scale around the outer dial allow for accurate legibility. This is a perfect everyday watch, presented in a brushed, 44mm stainless steel case with hidden lugs. 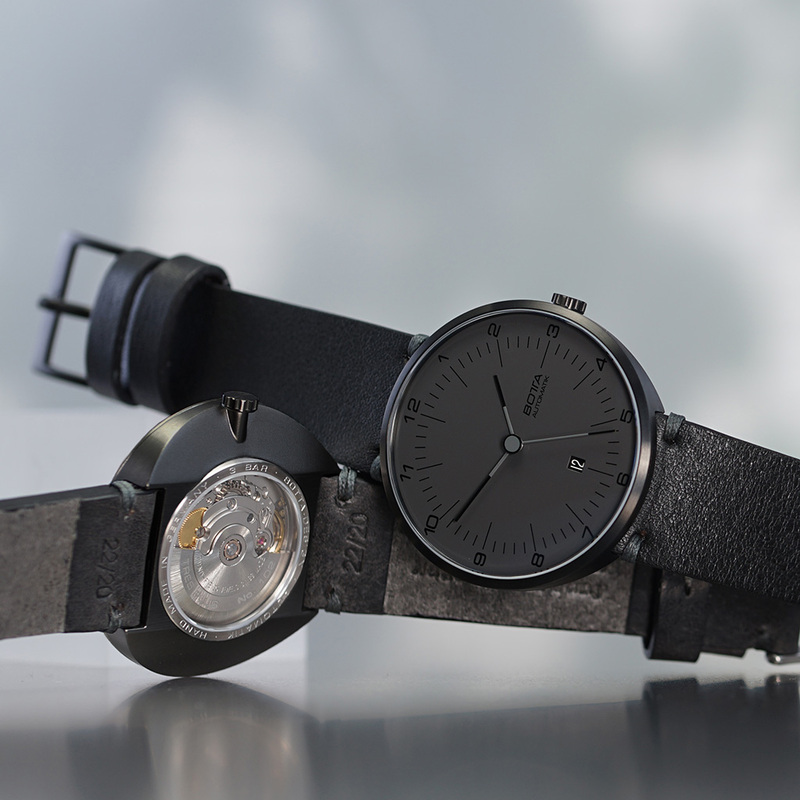 A more sophisticated look is achieved by the All Black model set into a black PVD case. The double-domed sapphire crystal case top with its narrow stainless steel top ring/bezel complements the elegant lines of the watch. The anti-reflective coating on both sides of the crystal provides significantly improved transparency and reduces the reflections on the watch glass. The case back features a sapphire crystal viewport held in place by a finely engraved stainless steel bezel. Through the crystal, a clear view of the mechanical drive of the watch, the extremely reliable ETA automatic movement 2824-2, can be seen. ETA’s 2824.2 Swiss-made automatic movement is one of the most reliable mechanical movements available. Its proven track record ensures years of problem-free enjoyment. 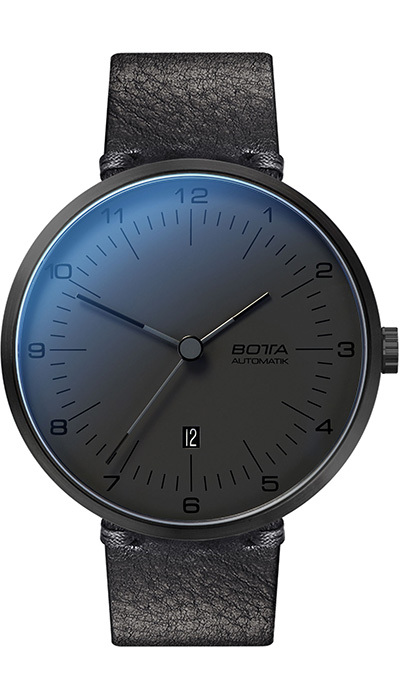 In addition to the factory specs of the this calibre, BOTTA Design tests and enhances every single movement over several days by carefully adjusting it for maximum precision by a watchmaker – this is our way of contributing to your punctuality. The ultra-modern, 44mm All Black Edition timepice is horological sophistication with its slimline case and subtle tonal palette – happily at home around a boardroom table or at chic, inner-city bar.